lovejoy | Search Results | Watts Up With That? 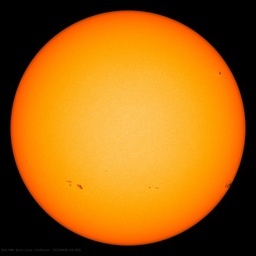 December 16, 2011 in Astronomy, Solar. May 22, 2018 in Climate News Roundup. May 16, 2018 in Climate Models. December 12, 2016 in AGU16. December 8, 2016 in Climate News. October 22, 2016 in Climate News. Vox's David Roberts: "Consilience" or just plain silliness? December 15, 2015 in Climate News.